Tips On How You Can Prevent Mold Growth. There are many things you can do to reduce and prevent mold growth in your home. The best way to keep on top of things is through routine maintenance and cleaning. This way, in the event that something does happen, you will be more aware of when it happened, catch it before it gets out of hand, and possibly be able to pinpoint the root cause. Below are some suggestions on how to do this from your basement all the way to your attic. • Many basements are damp and humid. This is an ideal environment for mold growth. Purchase a dehumidifier. Be sure to carefully follow the manufacturer’s guidelines for cleaning it, and remember to empty it daily. • Add drain gutters to your drain pipes and make sure the water is diverted at least 5’ from the foundation of your home. • Be sure your clothes dryer is properly vented. 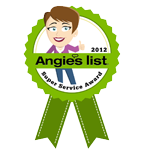 The dryer needs to be vented to the outside in order to properly control the amount of humidity in your laundry space. • Seeing condensation on windows can be a clue of humid conditions in your home. The seal on the window could have been compromised, causing moisture to get inside. Should this be the case, it must be corrected ASAP. • Examine your walls for wet streaks, spots, or stains. This could be an indication of a hidden leak which can lead to mold growth. Any wet spot should be thoroughly investigated. • Use a flashlight to inspect underneath your kitchen and bathroom sink for leaky pipes. If you find any signs of leaking water, schedule your plumber to come out ASAP. • Mold growth in bathrooms is very common. Be sure to turn on the exhaust fan, or open the window every time you shower. 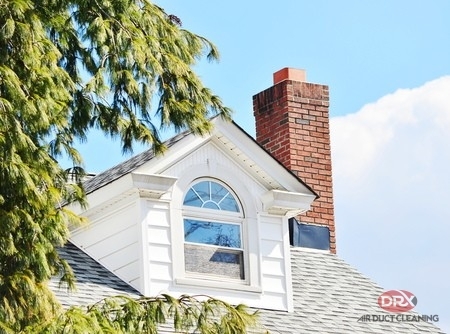 Be sure the exhaust fan is properly installed and venting outside your home, not into your attic. • Keep floors, walls, ceilings, and furniture dry. If something does become wet, try to dry it out within 24 -48 hours. (This is the generally accepted time frame for mold growth after water intrusion.) Discard any furniture items that could not be dried. • Use your kitchen exhaust fan to remove excess humidity created when cooking and washing dishes. Make sure your fan is properly installed to exhaust outside your home. • On a low humidity day, open some windows and doors to allow fresh air to flow in. 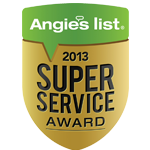 • Roof leaks will leave stains on the ceilings and occasionally on walls. You may notice a dark spot or paint peeling. Do not simply paint over the stain. Uncover the cause and make the necessary repairs before it gets out of hand. • Peek in your attic a few times a year just to be sure, even if you do not see any water marks on your ceiling. 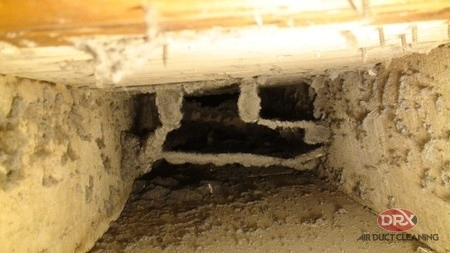 Mold can also grow in your furnace and AC coils. 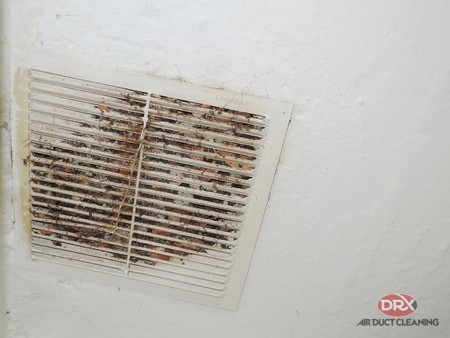 Having your air ducts and coils cleaned every 2-3 years is a good idea to prevent any surprises. 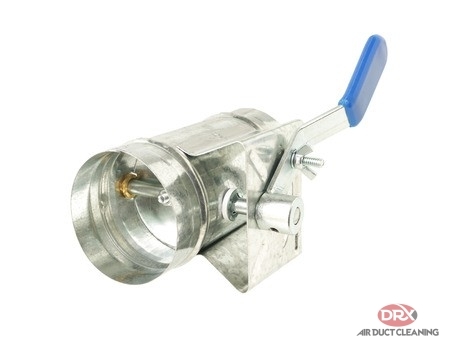 If you schedule a dryer vent cleaning with DRX at the same time as your air duct cleaning, you’ll also save money! We’ll also include free sanitizer. 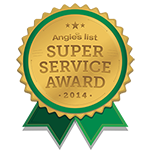 Call us today at 908.755.2950 for air duct cleaning NJ. Posted in Bacteria, Duct Cleaning NJ, mold and tagged bacteria, basement, hvac, mold, water on August 15, 2017 at 1:39 am by DRX Duct Cleaning. Do I Have To Clean My Hot Water and Furnace Chimney? Every year around the time the temperatures begin to drop, we all start to think about getting our fireplace, wood stove and furnace chimney inspected and cleaned. There’s more than one chimney that we need to be aware of, though. The truth is, a clogged hot water or furnace chimney can be extremely dangerous. Properly venting any fuel burning appliance is something to take very seriously. Do I Have To Clean My Hot Water and Furnace Chimney? Find Out Below! If heat is bellowing out from the bottom of the smoke pipe on your hot water heater, it can mean there is a clog in the flue to the roof. If it feels unusually hot, call in your heating professional right away. Place your hand in front of the burner section of your furnace. The excessive heat felt in this area can also be an indicator of a problem in the chimney. Newer furnaces have updated safety mechanisms that shut down the furnace. However, blocked chimneys in older heaters can cause a buildup of carbon monoxide. This is a deadly gas that is colorless, and odorless. It is very dangerous. Inspect at the ground level to be sure your chimney caps are intact. Over time, caps can rot and a decent gust of wind can even blow them away. This is an important part of the cooling system in a metal chimney. Additionally, it prevents animals from seeking shelter in its warmth and serves to keep the weather out. A cap on a masonry chimney will also prevent animals and keep the weather out. If your furnace has a masonry chimney, it should also be checked. Water vapor is a by-product of the combustion of natural gas. This water vapor can saturate the masonry inside the chimney. Over time, the acids in the water can damage the mortar. It’s a good idea to make checking and cleaning your water and furnace chimney a part of your routine home maintenance procedures. Call DRX Duct Cleaning at 908.755.2950 to set up your inspection and water or chimney cleaning today! And remember, if you suspect a problem with your hot water heater, call your plumber immediately. 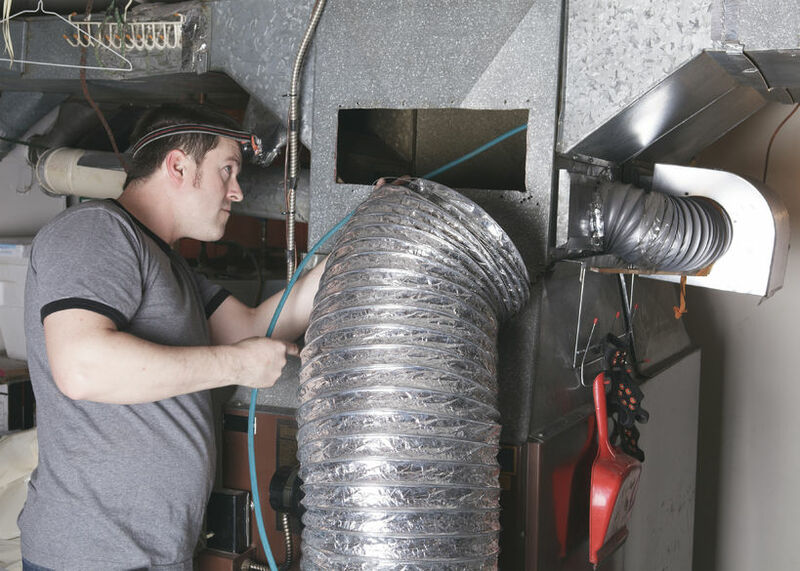 If you feel there may be an issue with your furnace, contact your HVAC professional. It’s better to be safe than sorry! Posted in Chimney Cleaning NJ and tagged Boilers, Chimney, Furnace, hvac on August 15, 2017 at 1:44 am by DRX Duct Cleaning.